For decades, visitors to Tremont have wondered about the three magnificent, but poorly maintained mansions they encounter when exiting Interstate 90 at Abbey Avenue and West 14th Street. What are (or were) these structures? Why have buildings in such a high-profile location been so neglected? What plans (if any) exist for their regeneration? The answer to these questions reaches back to the late 19th century. 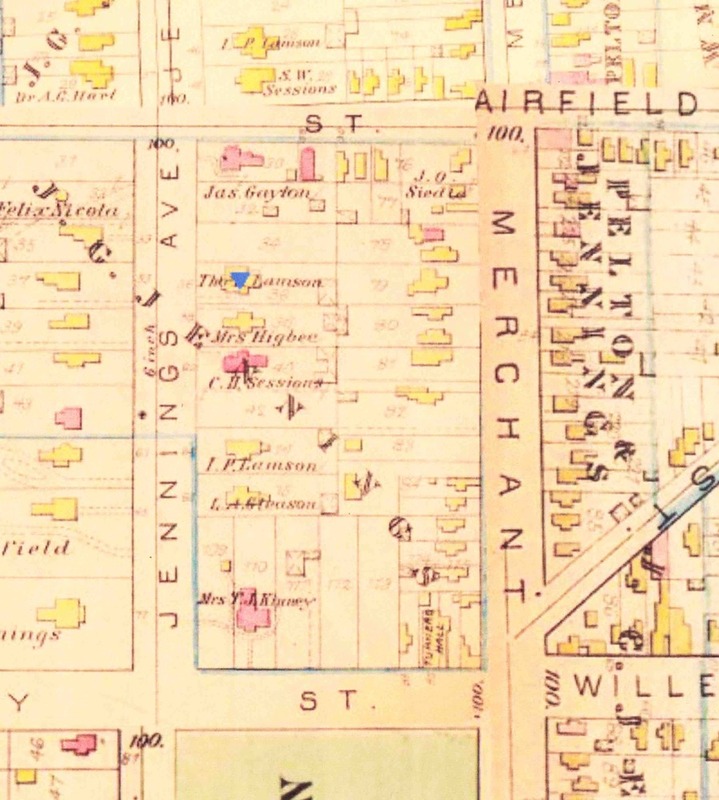 At that time, Tremont (then known as Lincoln Heights) was home to scores of wealthy industrialists, and Jennings Avenue (renamed West 14th Street in 1906) was their street of choice—a sort of south-side Millionaire's Row, not unlike Euclid or Franklin Avenues. 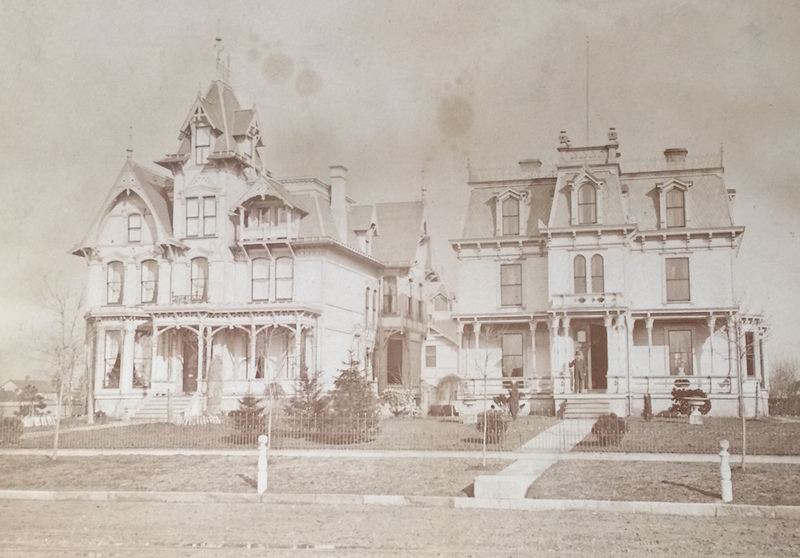 Just north of Fairfield Avenue, two of Jennings Avenue’s most majestic homes belonged to Samuel Sessions and brothers Thomas and Isaac Lamson, founders of the Lamson & Sessions Company. In 1912, The Pan-Hellenic Union purchased and razed these houses, and subsequently erected Annunciation Greek Orthodox Church which stands to this day. 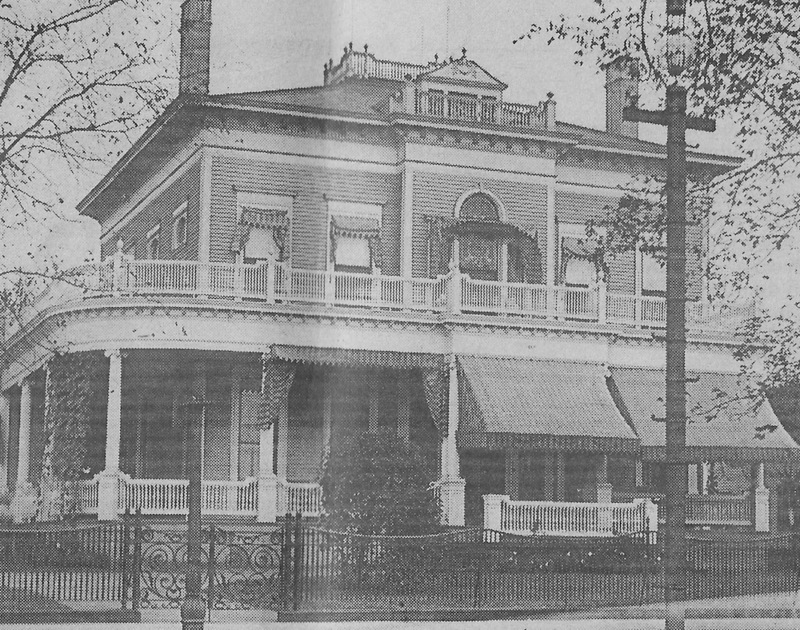 However, most of the block to the south (across Fairfield Avenue) also was owned by Sessions and the Lamson brothers; and two of the structures in this area are among those noted at the beginning of this article: the Olney Residence (2255 West 14th Street) and the Olney Gallery (2241 West 14th Street). Meant from the start to be an exhibition space, the Olney Gallery was built in 1892 for Charles Fayette Olney, an art collector and academic who came to Cleveland from New York City in the 1880s. This handsome Renaissance Revival building (with “Olney Art Gallery” etched in stone above the front portico) was created to display Olney’s extensive collection of oil and watercolor paintings, ivories, porcelains, statuary and bronzes. The building was designed by the firm of Forrest A. Coburn and Frank Seymour Barnum, which also created more than twenty houses along Euclid Avenue’s Millionaires’ Row, as well as several buildings for Case Institute of Technology and Western Reserve University. Physically adjoining the Gallery to the south is the giant mansion (built around 1870) that Olney and his wife Abigail Bradley Lamson, the widow of Lamson & Sessions founder Thomas Lamson, occupied after they married in 1887 (Abigail had previously lived in the house with Thomas Lamson). Around that time, the home was extensively remodeled—shifting in style from its original Italianate to the more popular Colonial Revival. The house’s belvedere and wraparound porch were added at that time. The Olneys became major benefactors of Pilgrim Church, which opened its doors at Starkweather Avenue and West 14th Street in 1894. When the Olney Art Gallery opened in 1893, it became the city’s first publicly accessible art space, pre-dating the Cleveland Museum of Art by more than two decades. More than 200 objects from the Olney’s private collection populated the gallery. 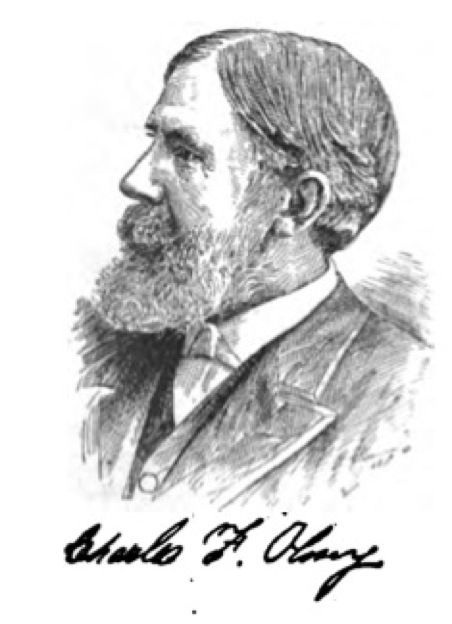 Other prominent Clevelanders, such as Windsor White and Charles Brush, also donated works. Charles and Abigail Olney died in 1903 and 1904, respectively. 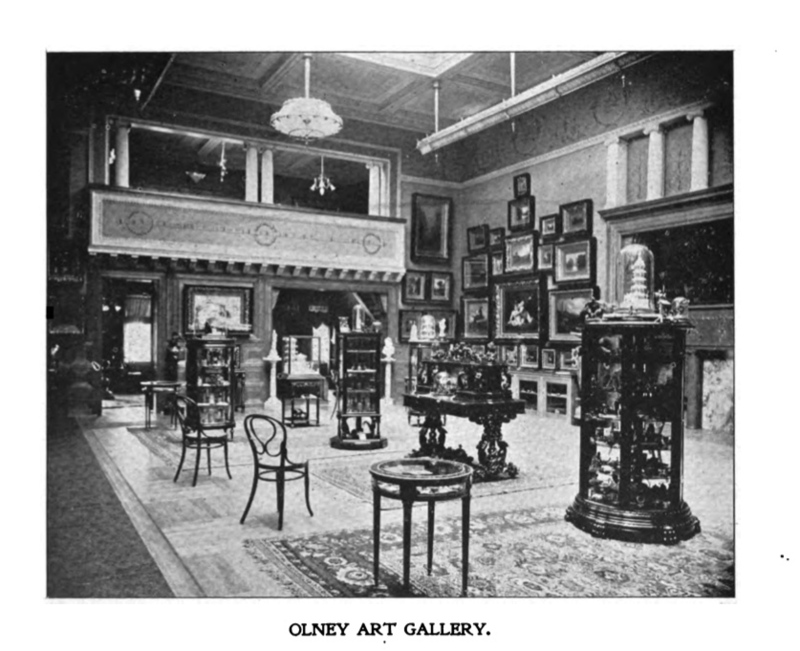 The Olney Gallery closed in 1907, and most of its inventory was donated to Oberlin College, where it became the foundation of the Dudley Allen Memorial Art Museum. 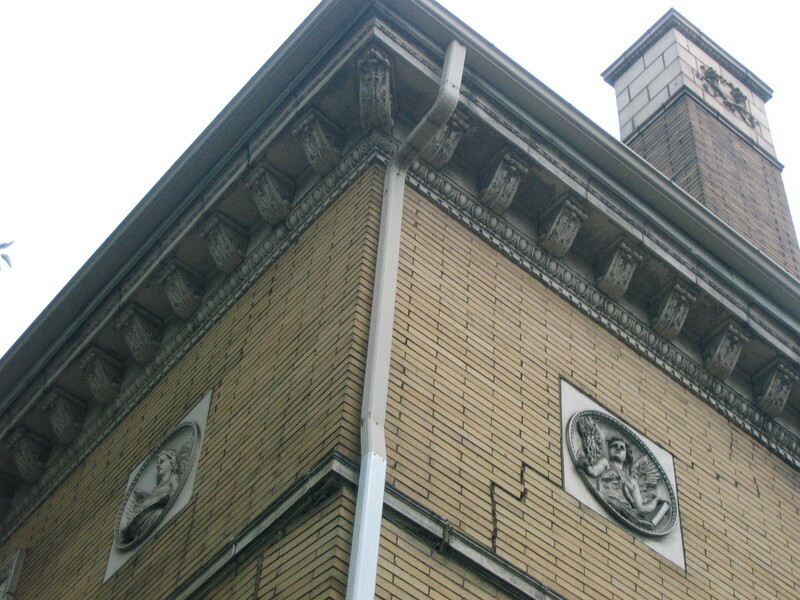 The two structures were used briefly by the Polish National Church before being sold in 1920 to the Ukrainian National Home Company for $45,000. 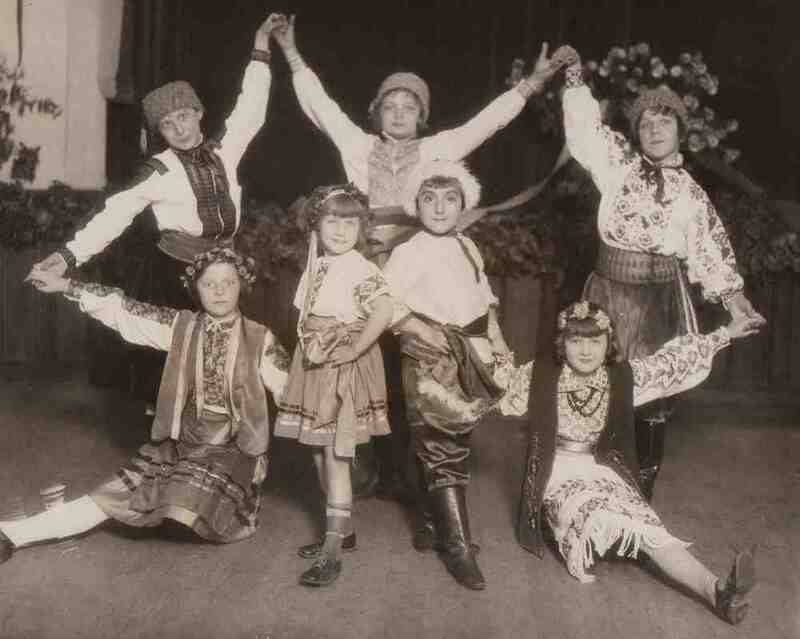 Ukrainians had been coming to America since the 1870s, and by the 1880s many had settled in the Tremont area. 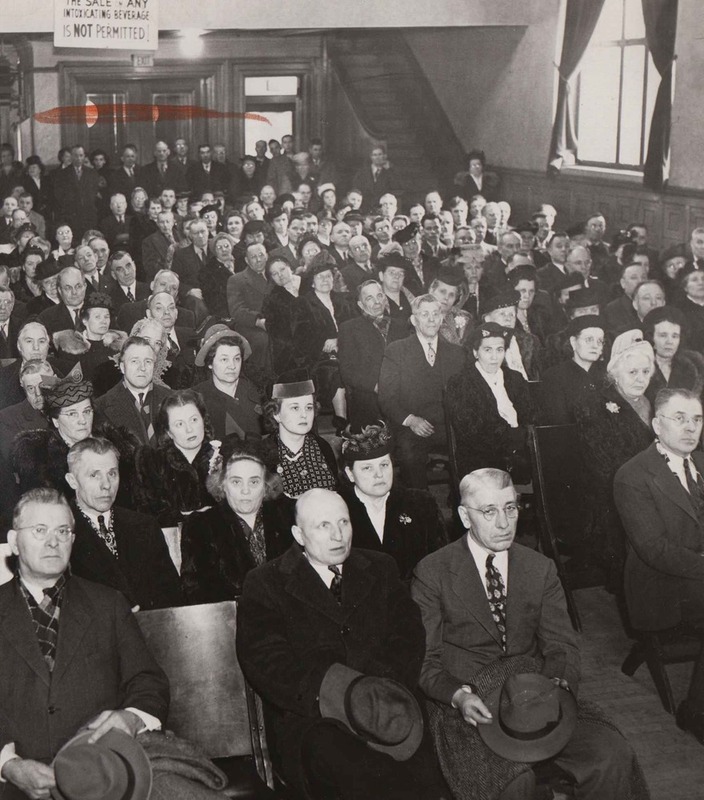 So great was the surge that the need for worship and meeting space became acute (the city’s first Ukrainian Catholic parish, organized in Tremont in 1902, was headquartered in a former trolley garage). These critical needs weren’t met until a new house of worship—Saints Peter & Paul Church at 2280 West 7th Street—was built in 1910 and the Olney Residence and Gallery was acquired a decade later to provide a social and meeting space. A short walk from Saints Peter & Paul, the Olney structures (renamed the “Ukrainian National Home”) filled a variety of needs: organizing educational, social and recreational events; hosting union meetings; and serving as a temporary refuge for the Ukrainian political émigrés and displaced persons who came to Cleveland following World War II. 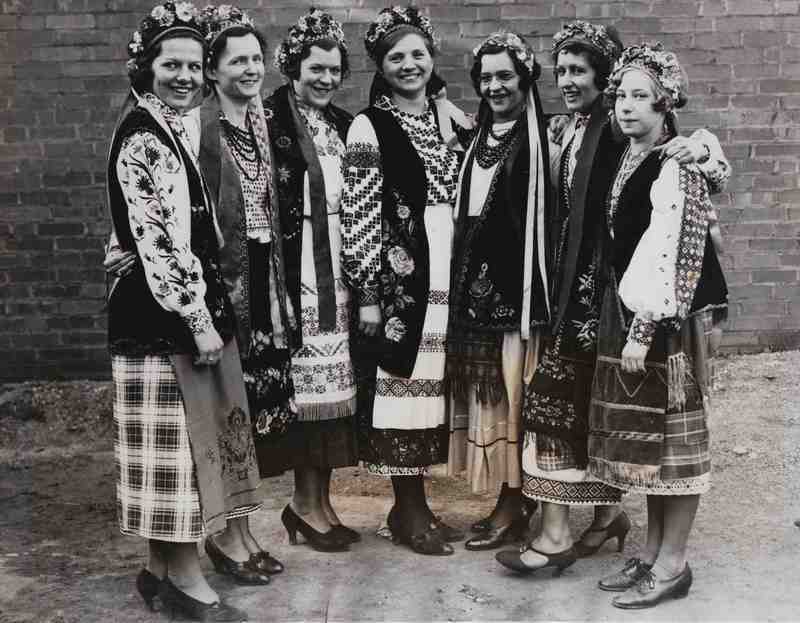 By the 1960s, however, much of the Ukrainian community had moved to Parma and other western suburbs and the Ukrainian National Home closed in 1967. Still, the area continues to maintain a strong Ukrainian presence, primarily in the form of Saints Peter & Paul Church and the widely renowned Ukrainian Museum-Archives at 1202 Kenilworth Avenue. 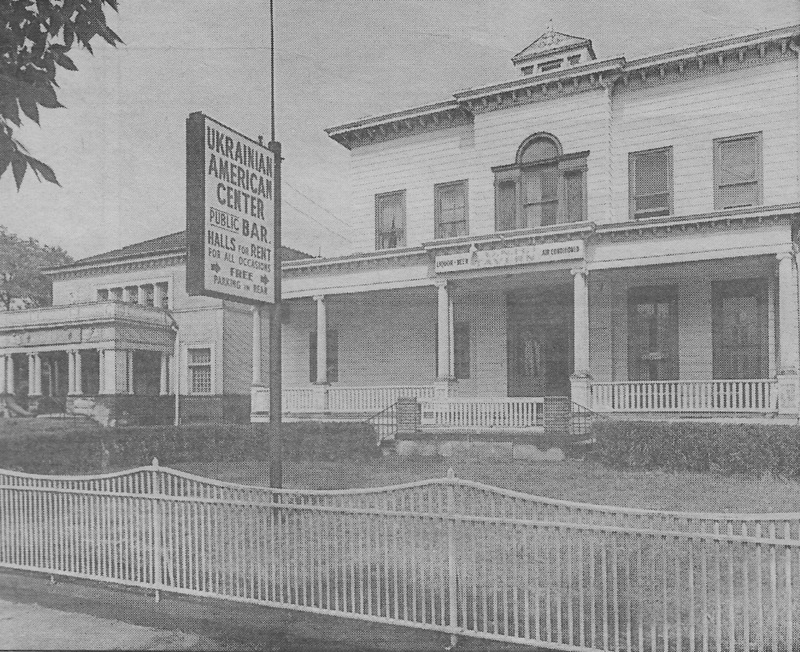 Reflecting the changing nature of Tremont’s community, the two Olney buildings later became a Puerto Rican social hall. 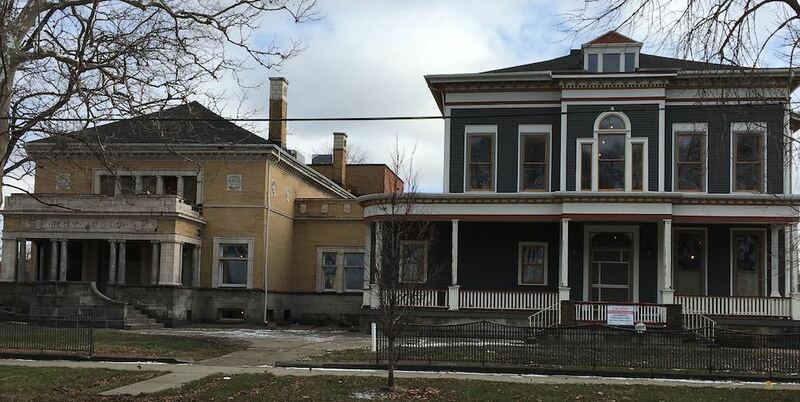 Since 1990, nearby Grace Hospital has owned the buildings and, aided by a large historic preservation grant in 2015, renovated the two structures, along with a third, somewhat smaller home, the Higbee House, to the immediate south. (It does not appear that this home was occupied by Edwin Converse Higbee, the founder of Higbee’s Department Store, but the building may have housed a relative.) 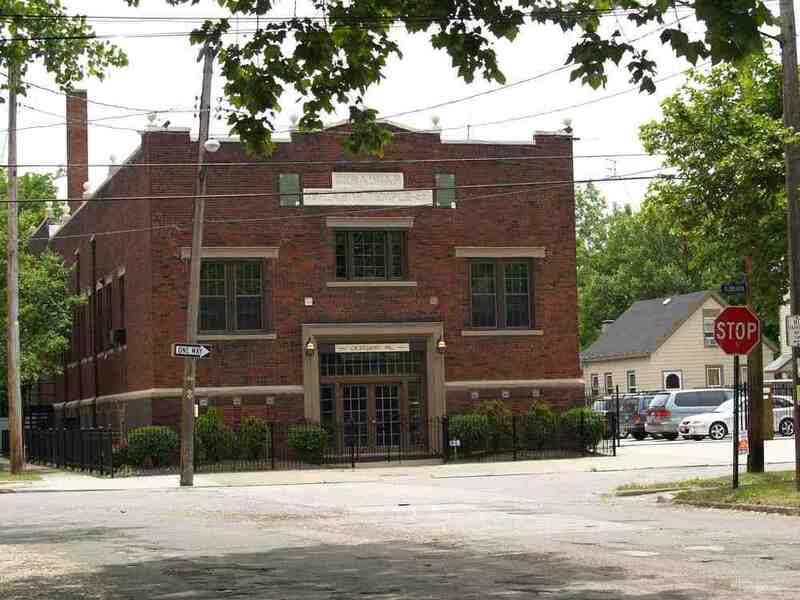 In September 2015, Tremont West Development Corporation obtained a large grant under a federal “food desert” program to help turn the former Olney Gallery into a grocery store. Refurbishment of the building is moving ahead but final plans are unclear. 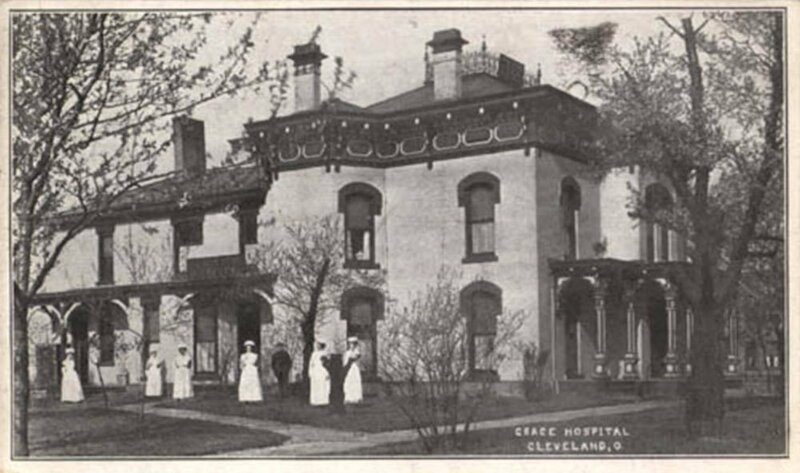 Grace Hospital intends to turn the former Olney residence into a health/spa facility. 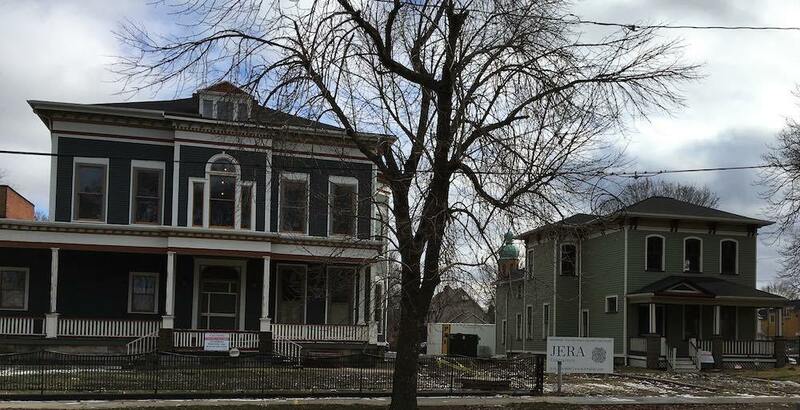 Plans for the former Higbee house have yet to be finalized. Charles F. Olney : Before coming to Cleveland, Olney served as Supervisor of the New York City public schools. 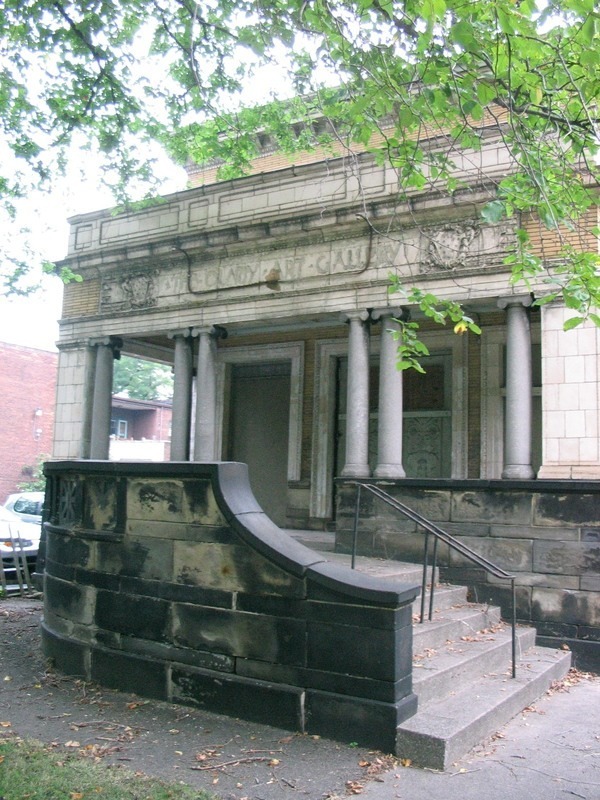 While in Cleveland, Olney served on the Chamber of Commerce, taught art at Tremont's Pilgrim Congregational Church, and was a vocal supporter of the Group Plan. 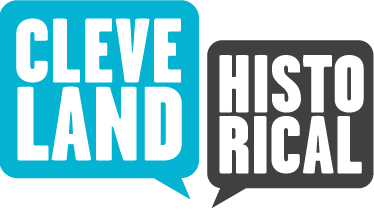 Chris Roy and Michael Rotman, “Olney Residence and Gallery,” Cleveland Historical, accessed April 23, 2019, https://clevelandhistorical.org/items/show/757. Published on Feb 9, 2016. Last updated on Jan 18, 2019.